These eleven masterful stories - the first collection from acclaimed author Jennifer Egan - deal with loneliness and longing, regret and desire. Egan's characters, models and housewives, bankers and schoolgirls, are united by their search for something outside their own realm of experience. They set out from locations as exotic as China and Bora Bora, as cosmopolitan as downtown Manhattan, or as familiar as suburban Illinois to seek their own transformations. 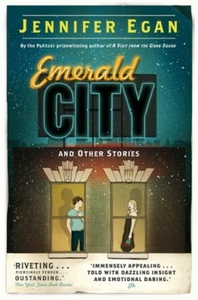 Elegant and poignant, the stories in Emerald City are seamless evocations of self-discovery.